Choosing the best VPN service for you can be tricky for a number of reasons. But in 2018 there are so many excellent services available, it often comes down to price. This is an area where IPVanish - long regarded as one of the best VPN services around - has an advantage. Every now and then it brings back its famous deal which offers a full VPN service on all your devices for just $3.33 per month for a period of two years - that's a discount of 72% compared to the usual price. The deal itself will cost you a one time payment of $79.99 and that'll get you two whole years of IPVanish VPN before you have to pay anything more. 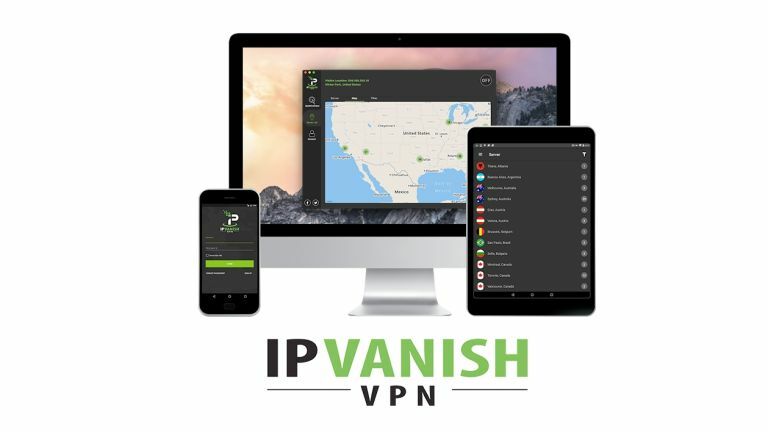 IPVanish is always listed on 'best vpn' lists wherever you find them, and the service is known for being highly configurable and almost always very fast. It has 950 servers around the world in over 60 countries, and you can use it on 5 devices at once - which means you can be up, running and secure on a desktop PC, a phone, a tablet, a laptop and a Fire TV Stick all at the same time. There are also apps for any number of other devices and services. It makes your connection secure and private, whether you're interested in security or just hopping your IP address around to check out what global versions of Netflix are offering this week! This is the best VPN deal we've ever seen and it only runs until March 31 so if you want it - act now!